The Ottawa Senators begin at home against the Chicago Blackhawks (Oct. 4). The Senators do battle against the Montreal Canadiens at the Canadian Tire Centre on Oct. 20 and Dec. 6, and the “Battle of Ontario” comes to Ottawa March 16 and 30 against rival Toronto Maple Leafs. The Senators will host Stanley Cup® Champion the Washington Capitals twice in eight days (Dec. 22 and 29), while the Western Conference Champion Vegas Golden Knights come to town on Nov. 8. 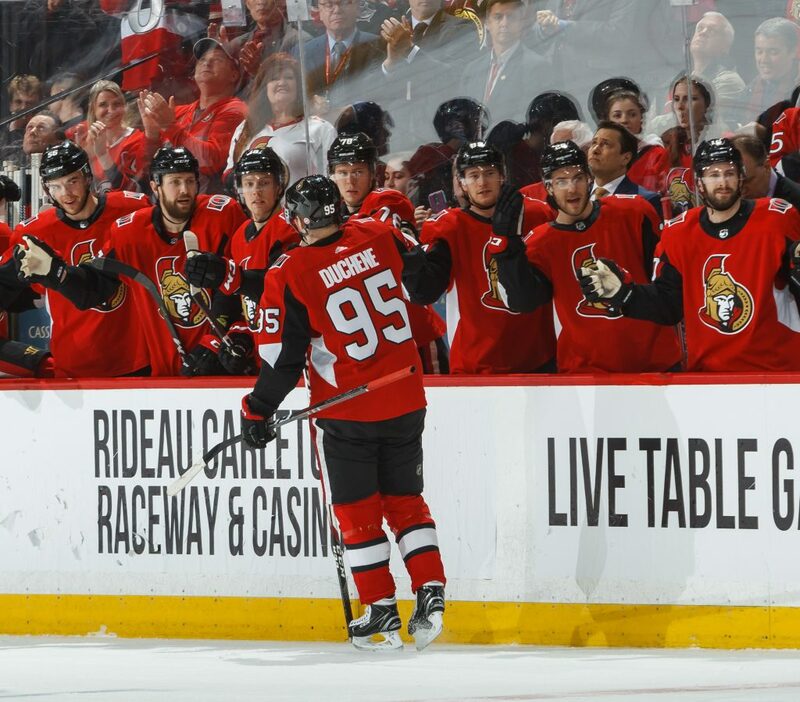 The Senators will try to climb to the top of the Atlantic Division against such foes as the Leafs and Canadiens, in addition to the division champion Tampa Bay Lightning, who they host on April 1. The Buffalo Sabres visit Ottawa on Nov. 1, while the Boston Bruins arrive for games on Oct. 23 and Dec. 9. The Detroit Red Wings will come to town on Nov. 15 and Feb. 2, and the Florida Panthers will fly up north for two games against the Senators on Nov. 19 and March 28. Playing since 1992 but carrying the legacy of a town rich in hockey history, the Ottawa Senators represent Canada’s capital city in the National Hockey League. The Senators play at the Canadian Tire Centre, which seats 17,373, and they are coached by Guy Boucher. Stay up to date on the Senators all season on Twitter @Senators.